The Softphone Remote Control connects agents using a hard phone (desk phone, mobile phone) with the CTM Softphone. 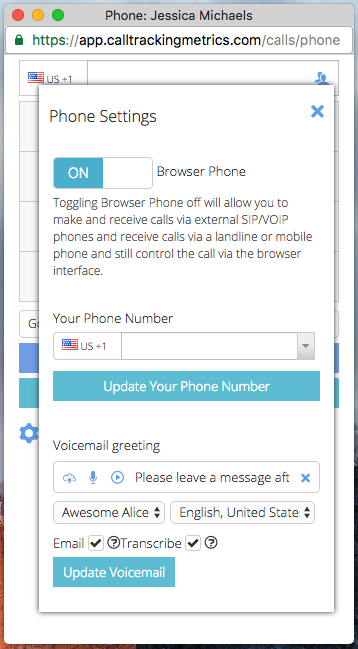 Toggling Browser Phone off will allow you to make and receive calls via external SIP/VOIP phones and receive calls via a landline or mobile phone and still control the call via the browser interface. 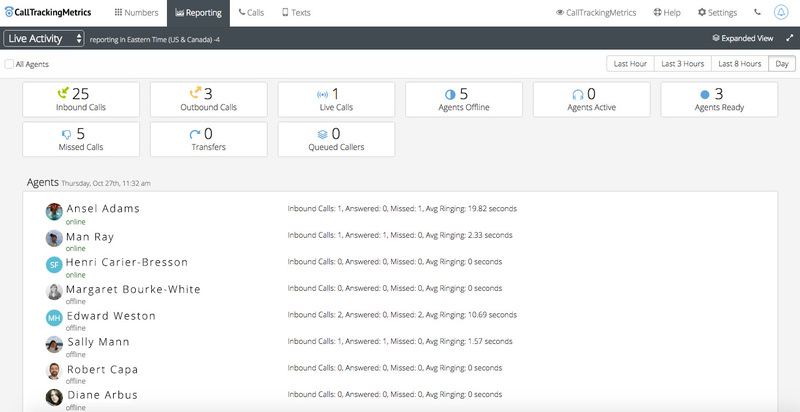 While still being able to interact with the softphone for call scoring or lead assignment and task creation when embedded in Salesforce using OpenCTI. Live Activity and Activity history with a 10-day look-back window. Live Activity allows looking at the last hour, 3 hours, 8 hours or the whole day. The number of callers currently queued e.g. waiting in a call queue for an agent. Compact view – when viewing a large number of agents compact view will hide the call stats graph and only show agents and their status. The option to show all agents regardless of recent activity or not. Configuring the custom agent statuses takes place on the account level, and we’ll initially allow up to 8 custom status in addition to the current 4 (outbound, inbound, online, offline). Agents will see the new tags as an option to select from within the softphone once a custom status has been added to the account. Full-Screen mode with auto refresh.